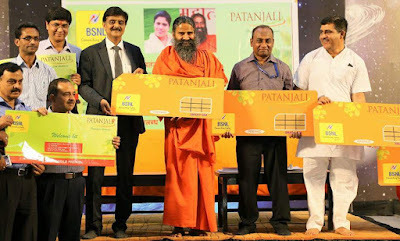 Baba Ramdev launched Swadeshi Samriddhi SIM cards, in alliance with Bharat Sanchar Nigam Limited (BSNL). Initially, only the employees and office bearers of Patanjali will be able to avail the benefits of the SIM card. After its full-fledged launch, people will get discount of 10 percent on Patanjali products with this card.Just with the recharge of Rs 144, one would be able to make unlimited calls across the country, get 2 GB data pack and send 100 SMS.Apart from this, people will also get health, accidental and life insurances. Speaking on the occasion, Ramdev said government-owned BSNL is a 'Swadeshi network' and the motive of both Patanjali and BSNL is the welfare of the country. 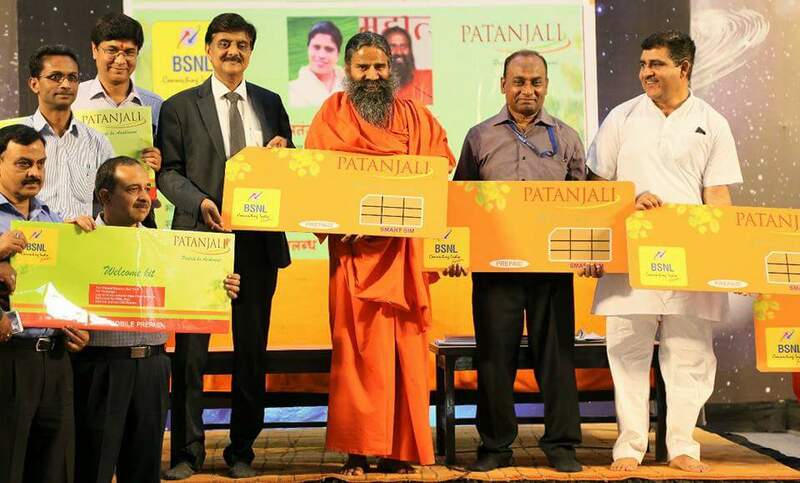 "There are five lakh counters of BSNL and from there people can soon get Patanjali swadeshi-samradhi card," Ramdev said. Talking about the company's motive "prosperity for charity", he further said that in addition to attractive data and call package, the card also comes with the medical and life insurance covers of Rs 2.5 lakh and Rs 5 lakh, respectively. However, the covers could only be availed in the case of road accident. Sunil Garg, BSNL Chief General Manager, who was also present here also praised the tie-up of Patanjali and BSNL. "Patanjali's plan is BSNL's best plan. In Rs 144, one can make unlimited calls from any part of the country. We are giving 2 GB data pack, 100 SMSs. The members of the Patanjali has to just show their identity and there SIM will be activated soon after some paper work," he said.